Arun Shourie said one of distinguishing features of the former prime minister Atal Bihari Vajpayee was that he had some core beliefs. Atal Bihari Vajpayee instilled the confidence in his team, Arun Shourie said. Atal Bihari Vajpayee was the prime minister and the BJP had lost an election in Maharashtra that the party believed it could have won. Mr Vajpayee had summoned his top ministers and party leaders to analyse the defeat. He let them do the talking. One accused alliance partner Shiv Sena for sabotaging the BJP's chances, the second spoke about consolidation of Muslims against the party and the third, blamed the weakened party organisation. Essentially, Arun Shourie, a cabinet minister in the Vajpayee government told NDTV, "everyone is putting a knife in his neighbour". Mr Vajpayee heard them all, a faint smile on his face. The atmosphere was very tense. "So the conclusion is that there are no new reasons for the defeat... Let's have tea," Mr Vajpayee reportedly said, diffusing the tension with one short sentence and sending a clear message to the party brass as well. Mr Shourie, who had worked closely with Atal Bihari Vajpayee during the years he was the prime minister, credits his former boss of bringing out the best in the people he leads. "He was a person who could bring out the best in others. There are some leaders who bring out the worst in others. He brought out the best," the former minister said, pointing how the former PM was neither jealous of expertise nor insecure. He would give them complete freedom to operate, Mr Shourie said, a remark seen to underline the contrast with the present NDA government that has been accused by the opposition of concentrating too much power in the prime minister's office. 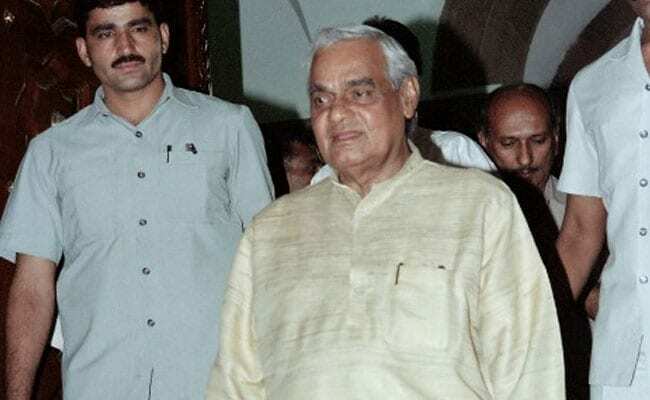 Atal Bihari Vajpayee instilled the confidence in his team that "he wanted to hear your honest opinion," the ex-minister, who has been an outspoken critic of PM Narendra Modi, said. At cabinet meetings, Mr Shourie said, everyone would get the chance to speak even after then PM Vajpayee's deputy LK Advani also had shared his views on a cabinet note. "People (ministers) will say all sorts of things... Atalji will close his eyes, others will continue to speak. At some point, somebody will say something that Atalji thinks is correct. He would then say, "Haan, theek hai. Aage chaliye (Yes, Okay. Let's move to the next item on the agenda)". "What the last man had said became the decision," Mr Shourie recalled. It was like the roulette. But everyone could say anything, every something contrary to what Mr Vajpayee believed in. The former prime minister, considered the gold standard in the BJP leadership, died in the national capital on Thursday after prolonged illness. The three-time prime minister, one of the country's most charismatic political leaders, was a master orator who would demolish the other side without using a derogatory word, or demeaning the other person. "The civility... It is not just eloquence of words. It is the subtlety of ideas which he would convey," Mr Shourie said. He was polite, but could be firm as well. Like when he politely ticked off the Shiv Sena which had opposed a book on Shivaji, saying the only response to a book could be a better book. 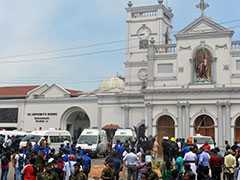 Or when his cabinet strongly pitched for dismissal of the Tamil Nadu government and imposition of central rule after union ministers from the DMK were assaulted by the police and former chief minister M Karunanidhi dragged out. Mr Vajpayee refused to go along with this view and said the security of the DMK ministers should be improved. "But they are our allies," someone reason. "That is why it is our duty to explain to them," Mr Vajpayee responded. He would not give in to demands to misuse the centre's power to sack chief ministers even if it was a rival. Mr Shourie said one of distinguishing features of the former prime minister was that he had some core beliefs. The former minister said there were several instances when the former PM put his foot down and stayed the course. "I personally know from the VHP, Bajrang Dal... that he didn't allow them to carry forward the business of putting pillars and having prayers beyond a particular line at Ayodhya," he said. It was the conviction that India and Pakistan had to find a way to live together, as neighbours, that he kept up efforts to normalise relations despite setbacks. "He goes in bus to Lahore, he is slapped in Kargil and he resumes the process in Agra... because his belief was when you can't change your neighbour, you have to get along with them," Mr Shourie said, remembering how he would underline the importance of reaching out to Pakistan because India was bigger, and stronger.